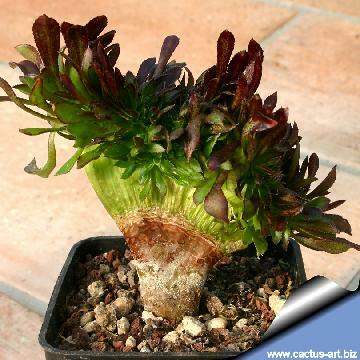 Accepted Scientific Name: Aeonium arboreum atropurpureum f. cristatum hort. 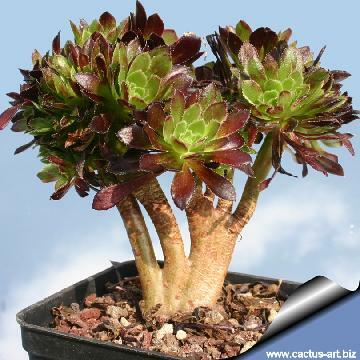 This plant has deep purple fan shaped crest that truly stand out against the blue of the sky. 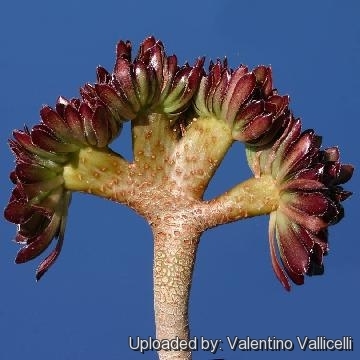 Origin and Habitat: Garden origin (Nursery produced cultivar) For a long time this choicest cultivar has been considered a sport of the Aeonium arboretum. 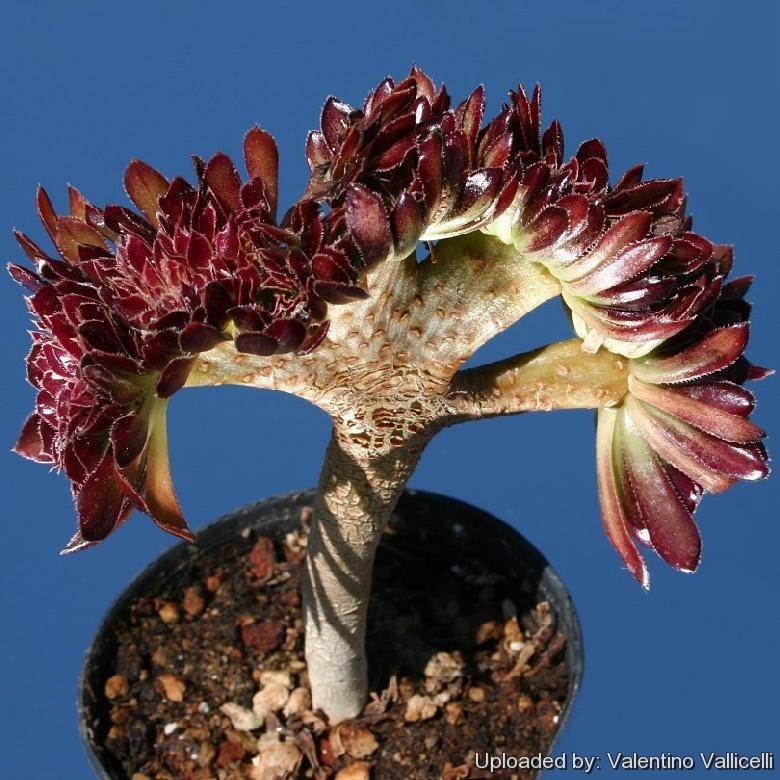 It now seems that it comes from the Canary Islands, thus it then cannot be a cultivar of A. arboreum, since A. arboreum doesn't come from there. The latest theory is that it is a cultivar from A. manriqueorum. 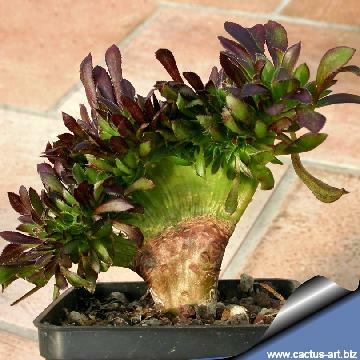 Description: It is a crested succulent shrub that produces magnificent, fun shaped purple, leaf rosettes at the ends of its branches and seems to to change in and out of its crested mode during the years. Stem: Forms grey-green beached trunk, spread 25 to 40.